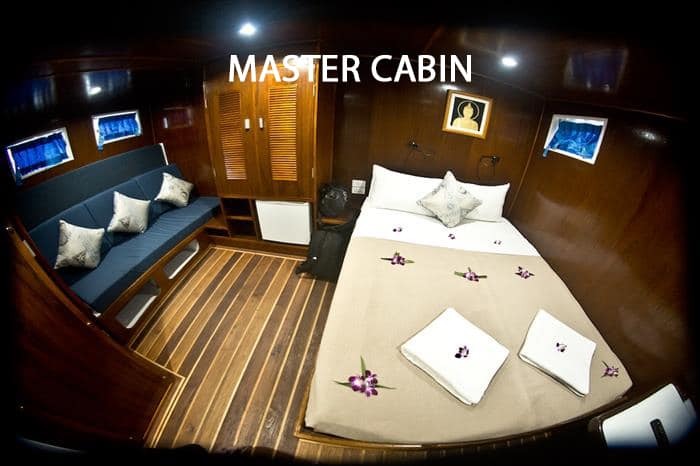 >> Most exclusive Diving Liveaboard in Thailand. 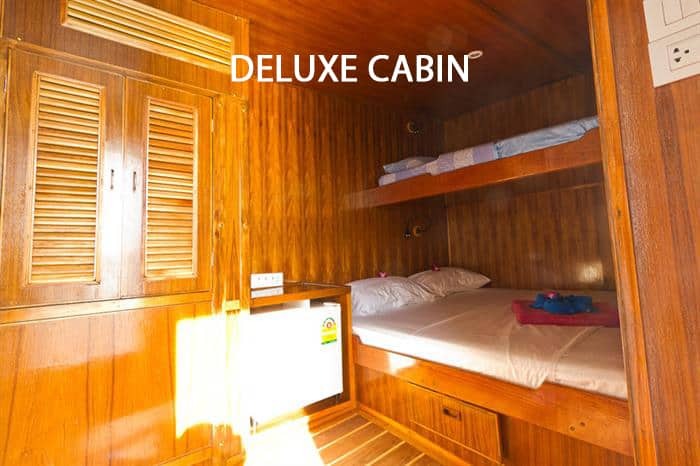 >>Five air conditioned en-suite cabins. 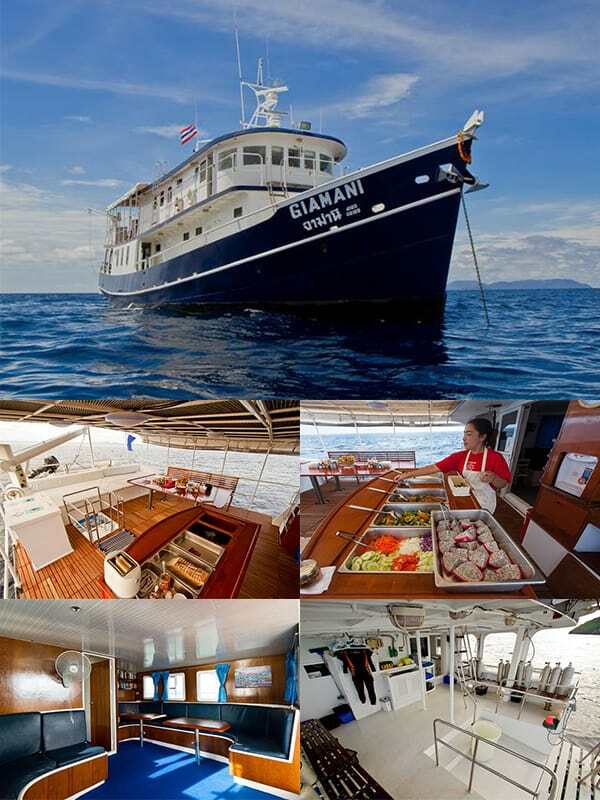 MV Giamani is very spacious and comfortable, with a length of 24 meters and a beam of 6 meters. Giamani is fully equipped to cater for both recreational and technical divers, including Trimix and CCR. 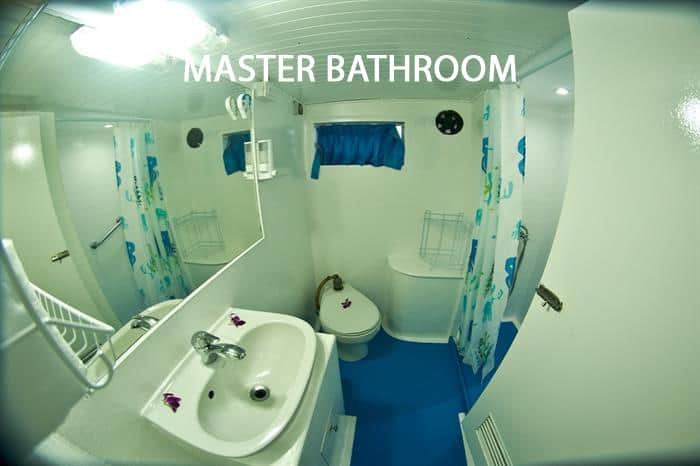 With only 5 air-conditioned en-suite cabins, each with a mini-fridge, MV Giamani caters to a maximum of only 10 divers guaranteeing a lot of comfort and personal service on board. The air-conditioned salon is great for relaxing, reviewing the underwater photos of the day or exploring the extensive marine life library. 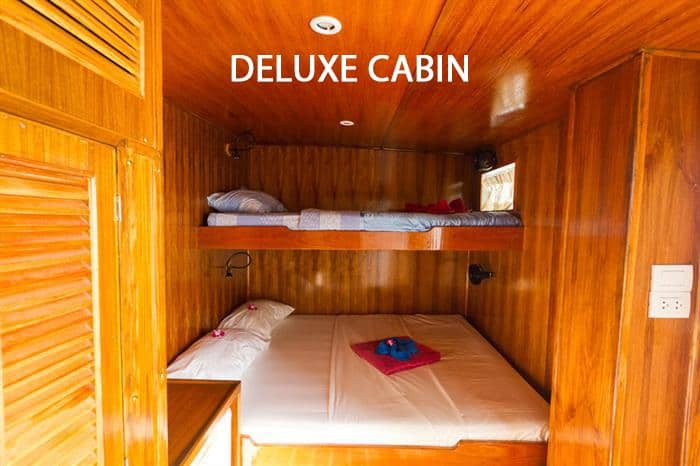 The comfy open-air relax & dining area is perfect to socialise with the other guests, and will make your diving liveaboard trip unforgettable. MV Giamani’s dive deck is very spacious and has a camera table and rinse tank to cater for photographers. All meals are served buffet-style on the main deck and are delicious, plentiful and diverse, offering a mix of International and Thai cuisine. Special meals can be arranged with advance notice. With MV Giamani you have the chance to discover the best dive sites in both Southern and Northern Andaman Sea, all year round. 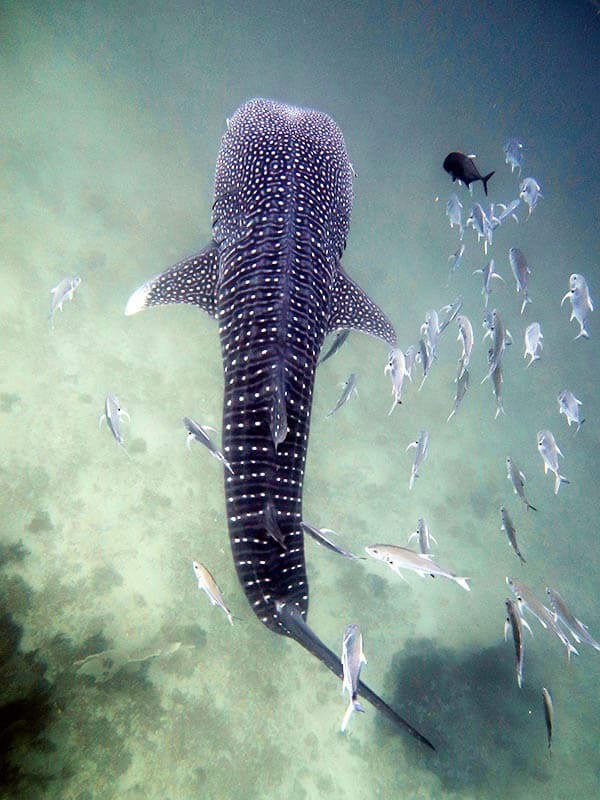 From October to May, MV Giamani does 2D/2N liveaboard cruises to the world-class dive sites in Southern Andaman Sea (Koh Haa – Hin Daeng & Hin Muang – Phi Phi Islands) in conjunction with 4D/4N cruises to the Northern Andaman Sea (Similan Islands – Koh Bon – Koh Tachai – Richelieu Rock), allowing the guests the flexibility to spend either 2 days, 4 days or 6 days on board. From May to October MV Giamani does shorter cruises, either 2D/2N to the Phi Phi Islands or 3D/3N to the Racha Islands and Phi Phi Islands. This is perfect for those who have a short time available and still want to enjoy amazing diving in Thailand. Discover the comfort of MV Giamani and the underwater wonders of the Andaman Sea with the video below. 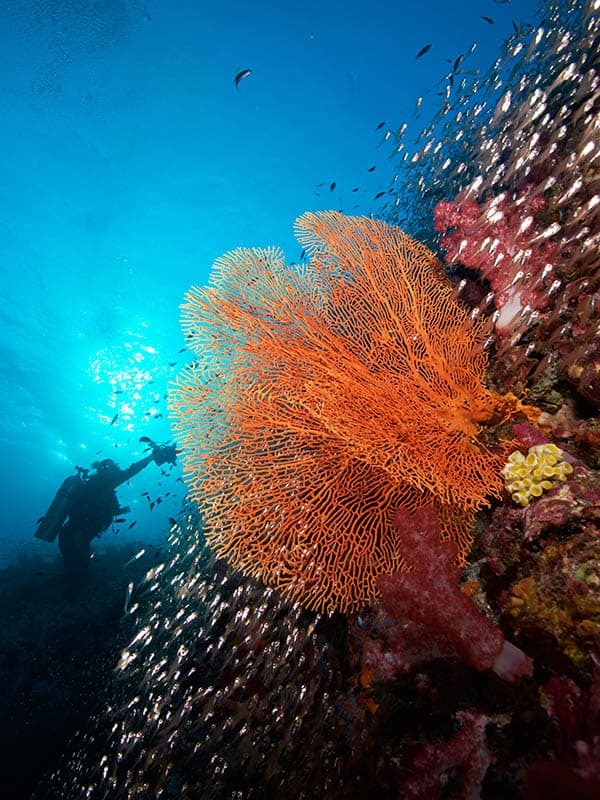 Thailand’s wonderful dive sites offer some of the most incredible biodiversity and landscapes in the world. With MV Giamani you can experience it all. From the breathtaking limestone cliffs of the Phi Phi Islands to the massive granite boulders of the Similan Islands, Thailand offers amazing landscapes both outside and underwater. 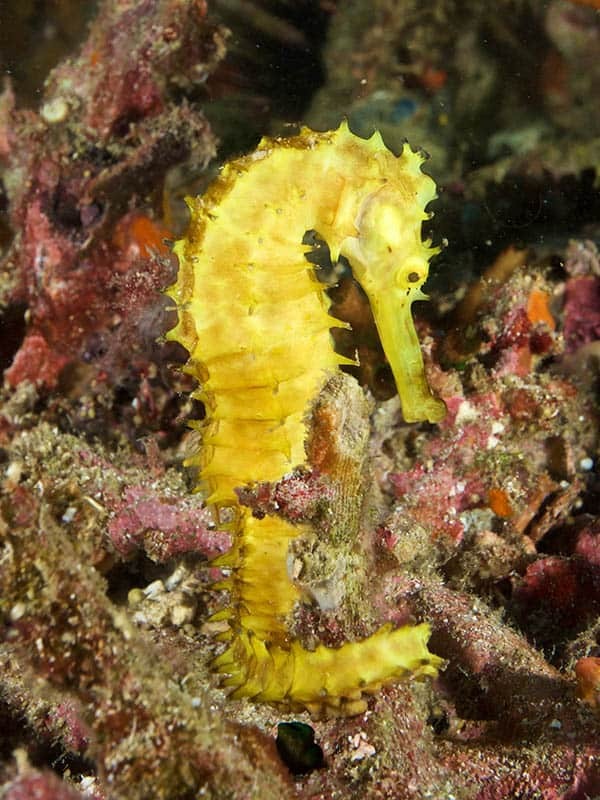 The biodiversity in the water is simply incredible, giving our guests the chance to spot all kinds of creatures ranging from big pelagics (including Mantas and Whalesharks) to the tiniest reef creatures like nudibranchs, seahorses, shrimps and more. 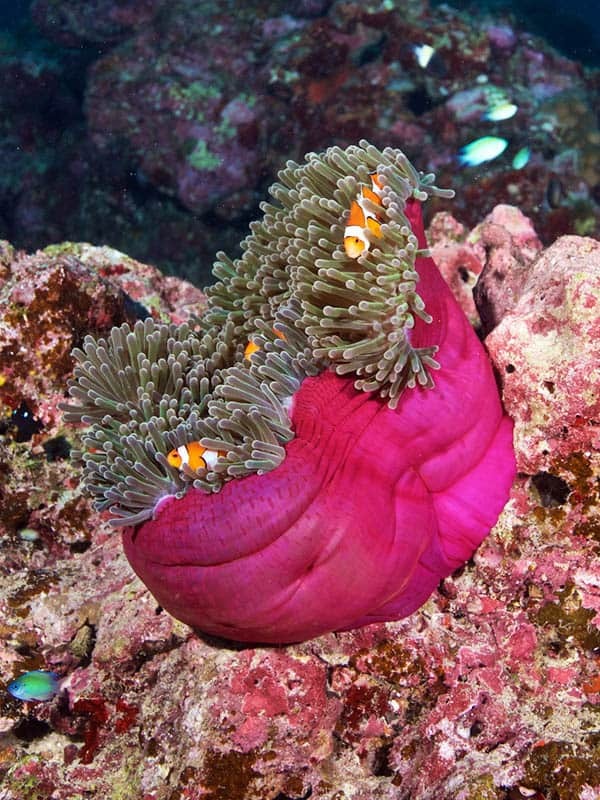 The coral reefs are also incredibly lively with different species of colorful soft and hard corals in pristine conditions. Cphotos from previous MV Giamani cruises. 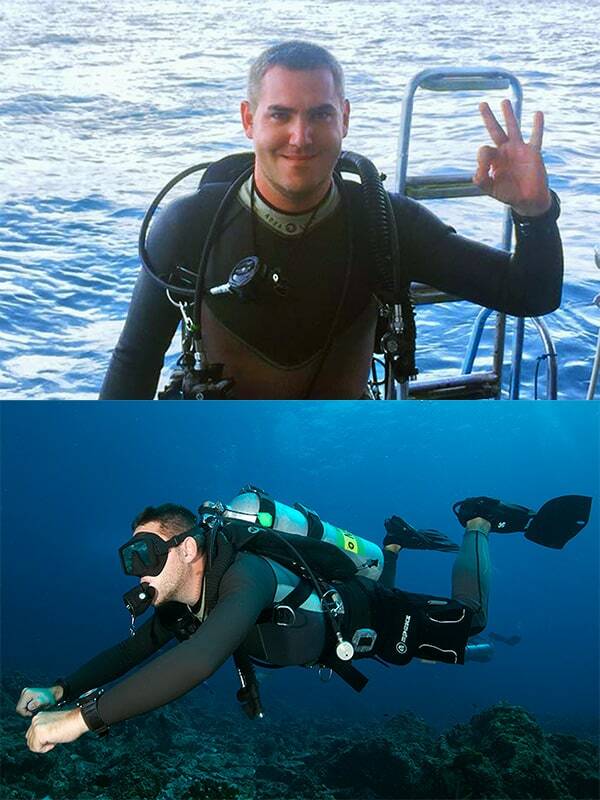 Never dived before? 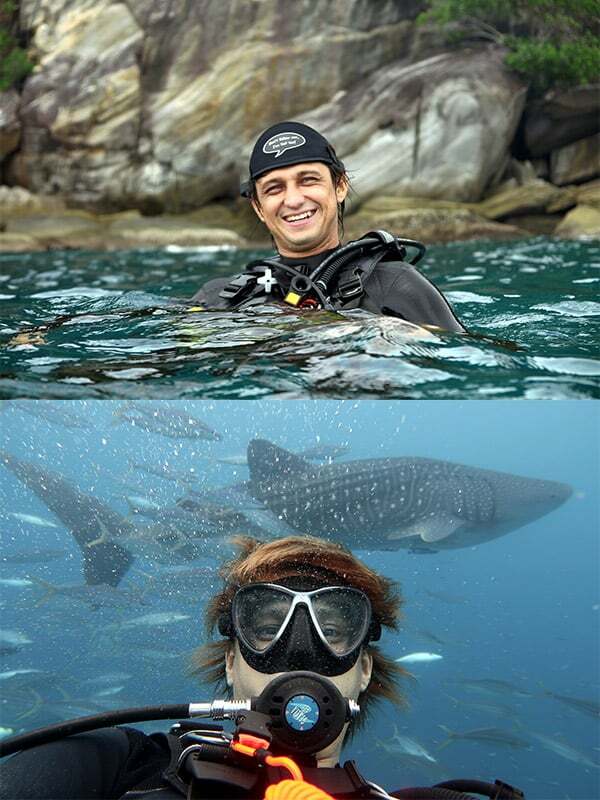 No worries, it’s possible to do a PADI course in combination with a cruise on MV Giamani. 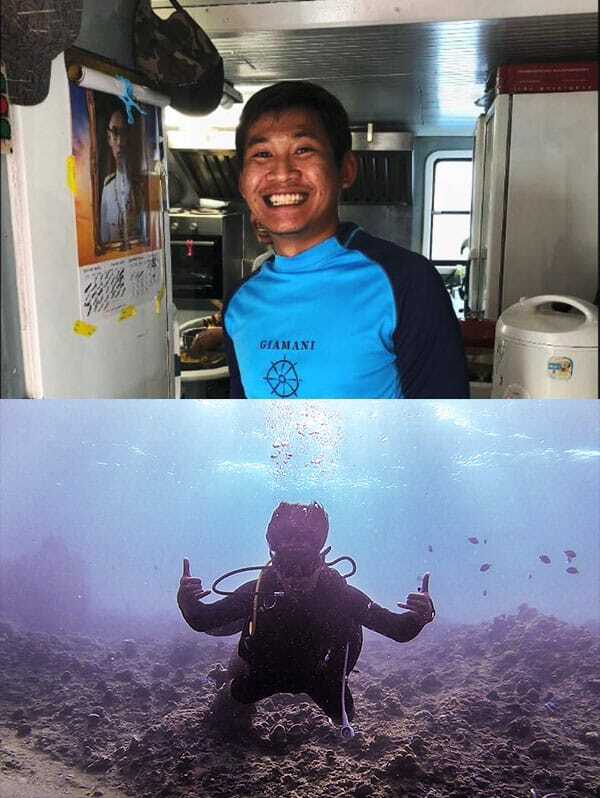 Our team of international and multilingual dive guides/instructors onboard MV Giamani is extremely professional, competent, experienced and friendly. They will make you feel like home and have great fun both underwater and on board, all while following high safety standards!